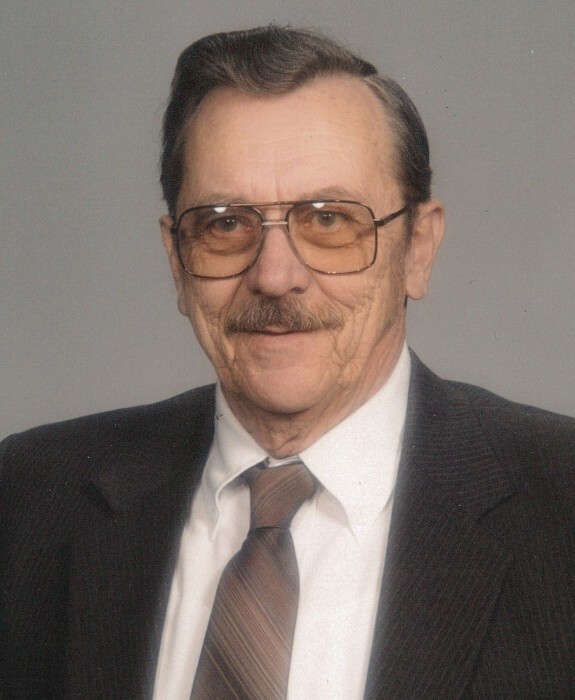 Harold S. Rubin, age 94, of Centralia, Illinois, passed away at 2:40 P.M. on Friday, February 1, 2019, at Fireside House in Centralia, Illinois. He was born on February 16, 1924 on the family farm in Augsburg, Illinois, the son of the late Carl Fredrick “Pat” and Linda Louise (Torbeck) Rubin. He married Arlene Anna Sasse on February 13, 1944 in Augsburg, Illinois and she preceded him in death on November 5, 2013. Mr. Rubin is survived by his daughter Mae Kalert and husband Louis of Centralia, Illinois; grandchildren, Brent Wolff and wife Deborah of Granger, Indiana, Misty Hack and husband Ron of Vernon, Illinois, Lee Wolff and wife Kari of McKinney, Texas, Jimmy Kalert and wife Mary of Carbondale, Illinois, Lauren Cook and husband Steve of Pullman, Michigan and Alex Rubin and fiancée Amanda Bush of Dublin, California; great-grandchildren, Justin Hack and wife Kerri, Shannon Hack, Elizabeth Wolff, Macey Kalert, Kristyn Kalert and Kailey Wolff; great-great-grandchildren, Greyson Hack, Arian Rupert and Lianna Rupert; brother, Melvin Rubin of Decatur, Illinois; sister-in-law, Lorraine Sasse of Lincoln, Illinois and several nieces and nephews. Mr. Rubin was a life-long member of Trinity Lutheran Church in Centralia, Illinois, where he was an usher and money counter. He enjoyed woodworking and traveling with his family within the United States. He took great pleasure in collecting, working on and selling bicycles. Mr. Rubin liked his new cars, first his Cadillacs and then his Lincolns. He cherished the time he spent with his family and friends, especially his grandchildren, brothers and sisters. A Celebration of Life Services for Mr. Harold S. Rubin will be held at 11:00 A.M. on Tuesday, February 5, 2019 at Trinity Lutheran Church in Centralia, Illinois with Pastor Mark Girardin officiating. Interment will follow at Augsburg Lutheran Cemetery in Augsburg, Illinois. Friends may visit with Mr. Rubin’s family from 9:00 A.M. until the time of services at 11:00 A.M. on Tuesday, February 5, 2019 at Trinity Lutheran Church in Centralia, Illinois. Memorial contributions may be made in Mr. Rubin’s honor to the Trinity Lutheran Church in Centralia, Illinois and will be received at the Moran Queen-Boggs Funeral Home in Centralia, Illinois. Please view the online obituary, send condolences or share memories with Mr. Rubin’s family at www.moranfuneralhome.net or on the funeral home’s Facebook page.